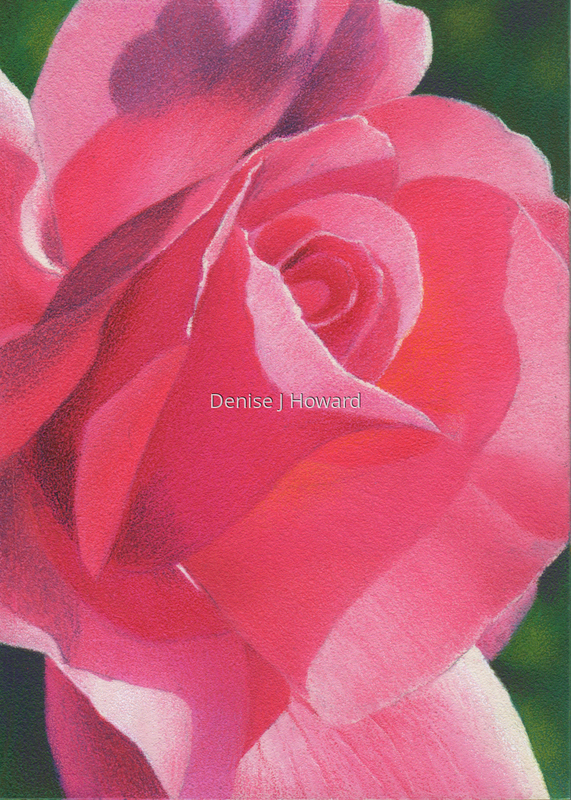 A small study of a perfect pink rose. I was intrigued by the hint of golden glow. Wax pastels and colored pencil on Pastelbord.